Dear Lima Beans: I was wrong. I was wrong, so wrong. The depth and magnitude of my wrongness was vast beyond comprehension. I stand here in my wrongness and admit error. I made a lima bean salad tonight, fully expecting they would be the same starchy, mealy bits of yuck that I so loathed in my childhood. I boiled half a bag of frozen ones, then drained them. I tossed them with olive oil, lemon juice, chopped parsley and shaved parmesan. Oh man, I was so wrong. I thought this was great. Even Jeeps said they weren't bad. I bribed Redman a dollar to eat some and he grudgingly admitted they were not worthy of barfing. 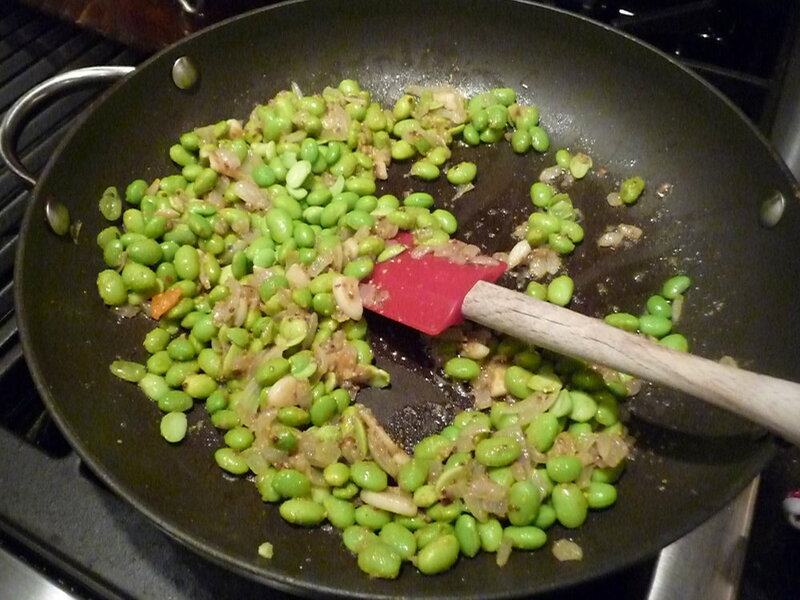 But the highlight of dinner was the undeserved privilege of hearing Panda utter this inconceivable sentence, "Mom, can I have some more of the lima beans?"